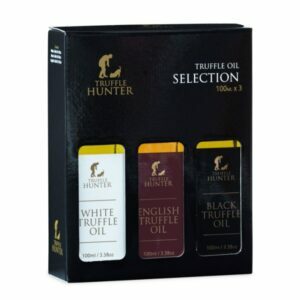 We offer a range of quality truffle oils. 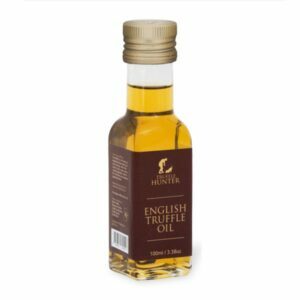 An English truffle oil is made with English rapeseed oil and English Black truffles. It is available in two different sizes. We also have a truffle oil selection containing the English truffle oil in addition to Black and White truffle oils made with Olive oil.